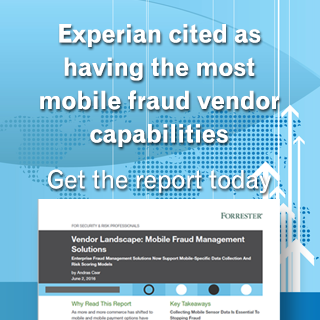 Experian®, the leading global information services company, today announced that it has been included in Forrester’s 2016 “Vendor Landscape: Mobile Fraud Management Solutions” report, and listed as having nine out of a possible 10 capabilities needed to combat mobile fraud. In addition, Experian was cited as having one of the highest total fraud management revenues in 2015, between $200 million and $250 million. Only one other vendor in the report was cited with revenue over $200 million. Through what we consider to be this significant market presence, Experian provides fraud management solutions to some of the world’s largest brands in financial services, insurance, and retail. The report cited Experian’s use of identity data usage velocities on mobile devices, which can detect when a fraudster is applying for an account from their mobile device by comparing the details of the application (user information) with the data and behavior that the vendor observes about the device itself. It can detect if the same mobile device, or group of devices, is attempting to open multiple accounts. Mobile SDK for app developers to collect data on device. According to Forrester, US mobile commerce (both phones and tablets) will top an estimated $252 billion by 2020, while mobile payments will exceed an estimated $141 billion in 2019. The report notes that in order to protect consumers and the firm’s profits, it is imperative that security and risk (S&R) professionals adapt to these mobile fraud attacks. A complimentary copy of the June 2016 Forrester report by analyst Andras Cser is now available here. 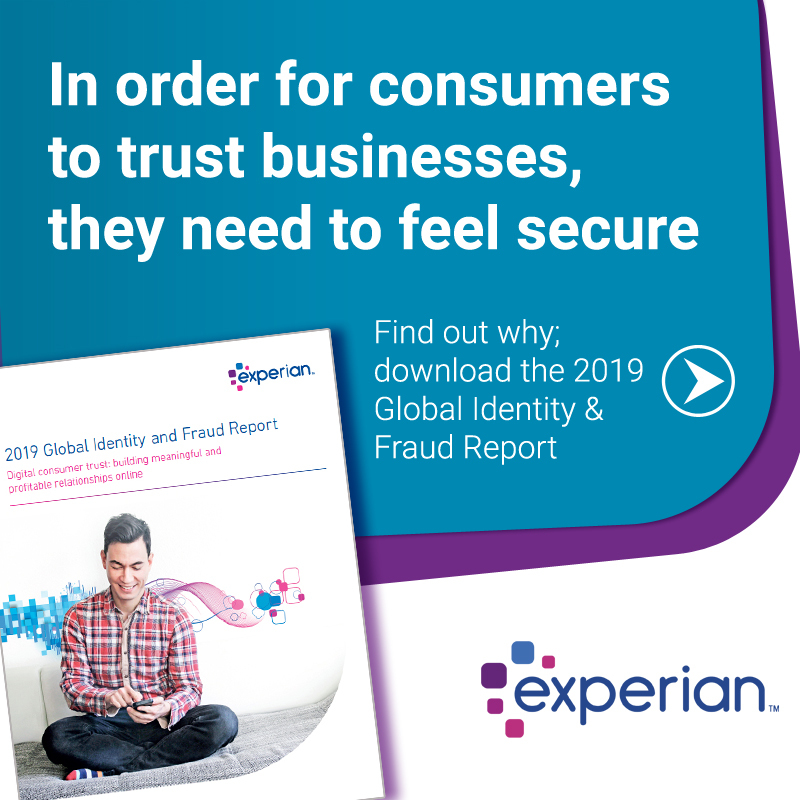 Experian’s capabilities are specifically designed to deliver comprehensive online fraud management that can be deployed quickly so companies can stop fraud attacks before they happen while providing a safe, hassle-free experience for consumers. And they are available through the recently-announced Experian CrossCore platform, the first smart, plug-and-play platform for fraud and identity services. Learn more about Experian’s Fraud and Identity business.